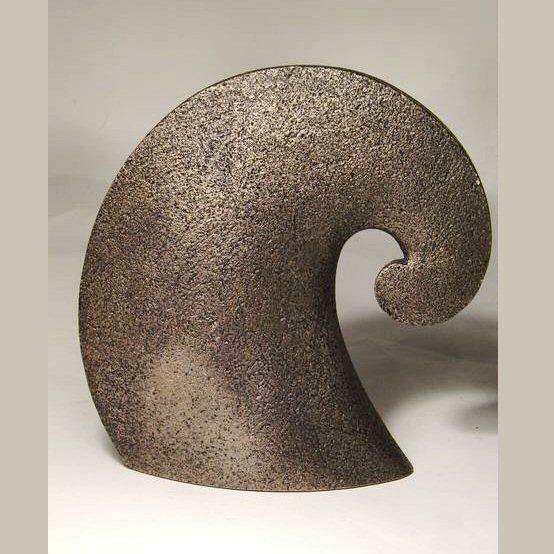 Wave in bronze - contemporary sculpture by Adrian Tinsley, from the Frith collection. Striking in its simplicity, this eye catching sculpture combines traditional material and methods with modern style. Hand finished in cold cast bronze, this sculpture would make a fine talking point for any room. Supplied securely boxed and packaged.